Parmesan, Herb, and Garlic Popovers . . . When Inflation is a Good Thing! 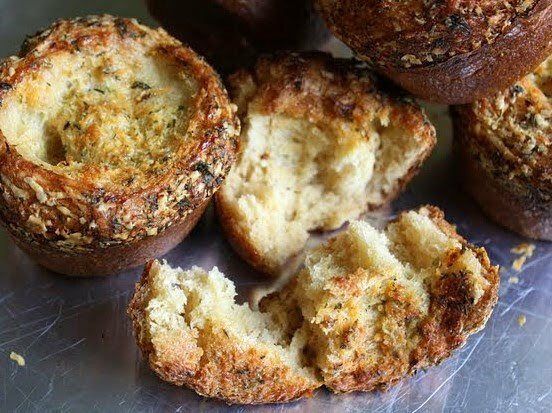 Until I made these fragrant parmesan, herb, and garlic popovers a few days ago, I'd only experienced one other kind before. 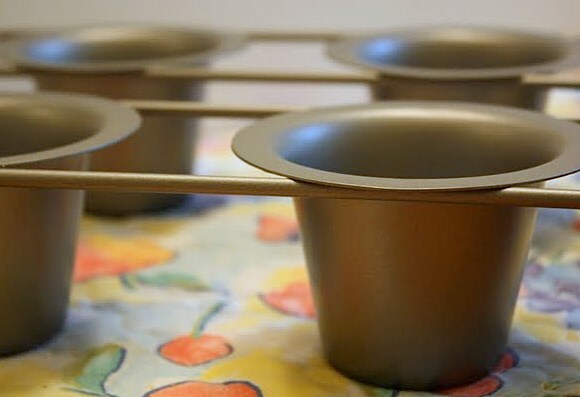 Those were the popovers of my childhood. They were richly brown and very crisp, with a bright yellow interior. Egginess abounded, one might say. We poked holes in the tops as soon as they were done, and ate them just after they stopped steaming. 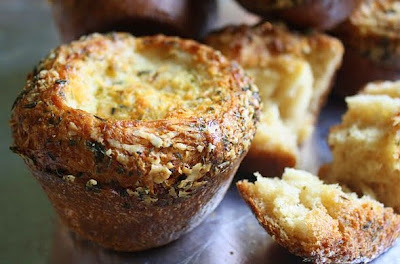 With soft salted butter and strawberry jam, those were classic storybook popovers. I don't remember anyone except my mother and I liking them, so we were typically the only ones around when we baked them. Because I hated eggs as a kid, and anything that obviously contained them, I wasn't crazy about the moist innards. I'd sort of peel away that doughy membrane and concentrate on crunching the shiny shell. 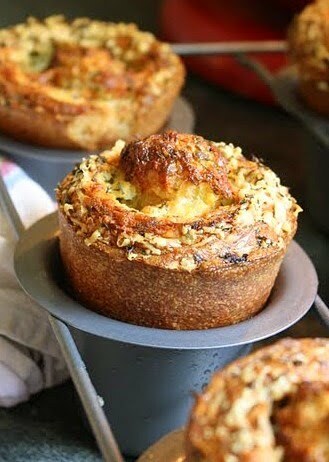 My fascination with popovers likely had more to do with their form than anything else. The way they'd inflate in the oven, like hot air balloons preparing for take off, astounded me. Our huge white stove--the kind with an oven that required holding a lit match above the flow of gas--didn't have a window, and I recall my mom explaining the necessity to refrain from peeking while the popovers baked. Emerging from the heat, they were wondrous oddities, quite unlike any food I'd ever seen. Now that decades have passed and time has modified my negative opinion of eggs, I figured it was time to take on a new and different popover recipe. 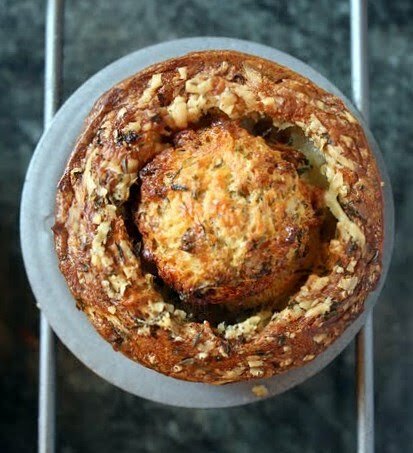 This one, which I adapted from chef Kevin Garvin's beautiful book Neiman Marcus Taste: Timeless American Recipes, produces a startling contrast to the popover I'd known before. 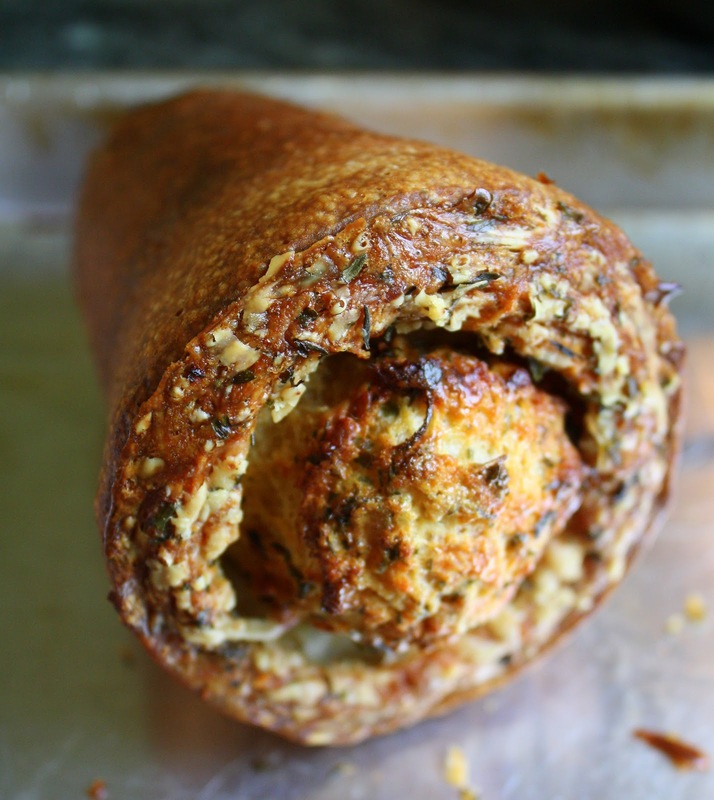 Besides the inclusion of grated parmesan cheese, dried herbs, and garlic, this popover is by comparison positively "bready" inside. The hint of egginess is still there, but it's only a hint. There is none of that overly moist, stretchy stuff to contend with once you break one of these open. The outside of the popover is just as crisp and burnished as one could want. 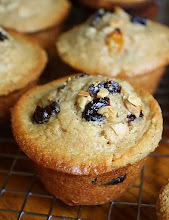 Oh, and these smell magnificent while they're baking. Probably not something you'd necessarily want to serve with breakfast, these are a perfect partner to a hearty salad or a bowl of soup at lunch. Or, they can accompany dinner if you like. I served them for supper, warm in a basket, alongside tri-color tortelloni in marinara sauce, with a tossed salad. These are really, really good. Give 'em a whirl, if you're so inclined. Preheat oven to 450 degrees. 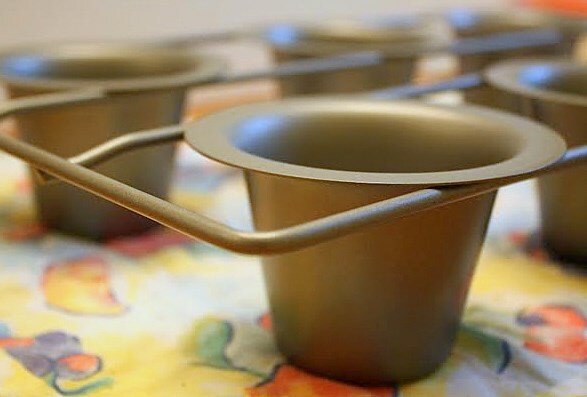 Generously grease 12 popover cups or jumbo muffin cups; grease the top of the pan(s) as well. Place each pan on a baking sheet. In a saucepan, heat the milk until it's just lukewarm, about 110 degrees, then take it off the heat. 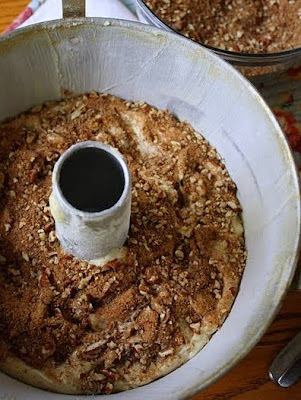 Sift the flour, salt, and baking powder into a large mixing bowl. 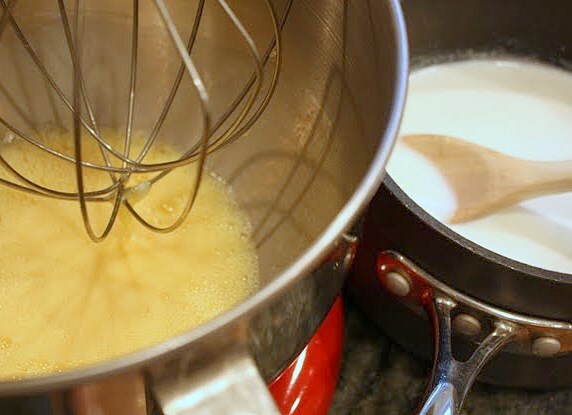 In the large bowl of your electric mixer, fitted with the wire whisk, beat the eggs on low speed for about 3 minutes, until they look pale and foamy, then add in the warm milk. Add the flour in gradually, still mixing at low speed, then raise the speed to medium and beat for 2 more minutes. Let the batter rest in its bowl, unrefrigerated, for one hour. While the batter is resting, mix together the parsley, thyme, and pepper in a small bowl, then mix the garlic into the herbs. 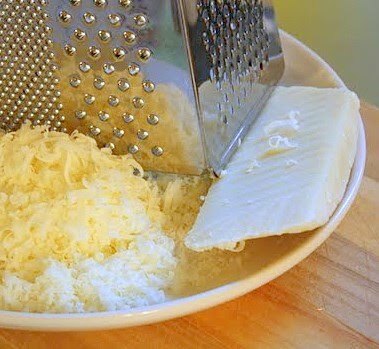 Grate the cheese and mix that into the bowl as well. 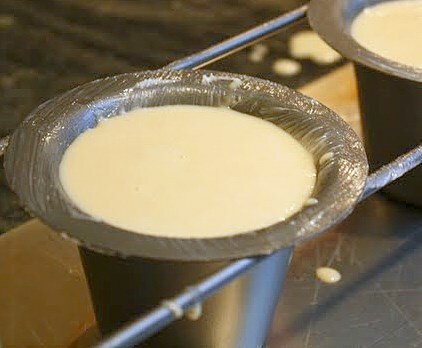 After the batter is done resting, fill each well-greased cup with batter, almost to the top. 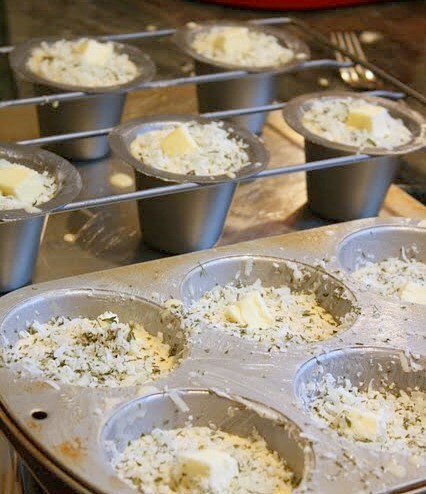 Sprinkle at least one tablespoon of the cheese-herb mixture on top of each one. Plop a chunk of butter on top of that. 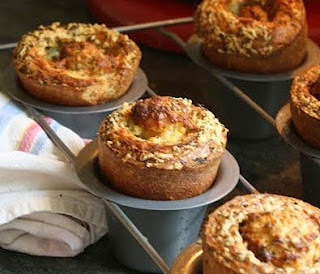 With the pans on baking sheets, place the popovers into the oven and bake for 15 minutes at 450 degrees. Then, turn the oven down to 375 degrees. Bake 30 to 35 minutes longer, or until the popovers look very crispy and are a deep golden brown on the outside. Don't peek at them while they're first baking if you can help it; wait until they've been in there a while. 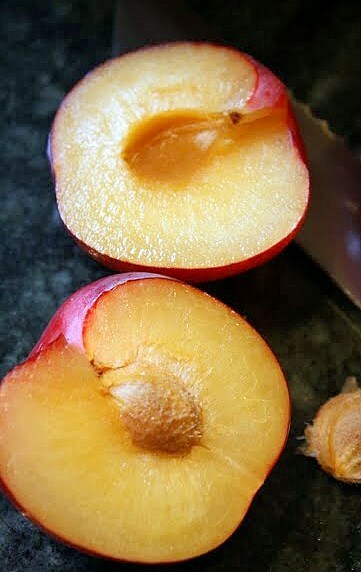 As soon as you take them out, puncture the tops carefully with the tip of a knife; this will allow excess steam to escape and help prevent the insides from becoming soggy. Best served warm, right after they're made. You can freeze any extras after they're cooled. 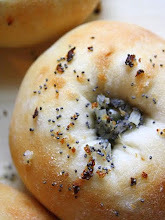 Reheat them easily, even if frozen, in a warm oven. They'll be almost as good as new. My initial affection for Kahlua, the ubiquitous coffee-flavored liqueur, began at least 25 years ago when one of my roommates--a vivacious girl named Jill, who was far more sophisticated and adventurous than I was--whipped up her own homemade version of the stuff. She served it at a party, ice cold, in big tumblers with a generous dash of cream. For me, it was a taste revelation. I was already a devoted coffee lover at the time and, not surprisingly, the more a drink resembled a dessert, the more it appealed to me. Given the choice, though, of expending precious calories on a drink versus a dessert . . . well, you know I almost always chose the latter. Even today, I would still make the same choice. 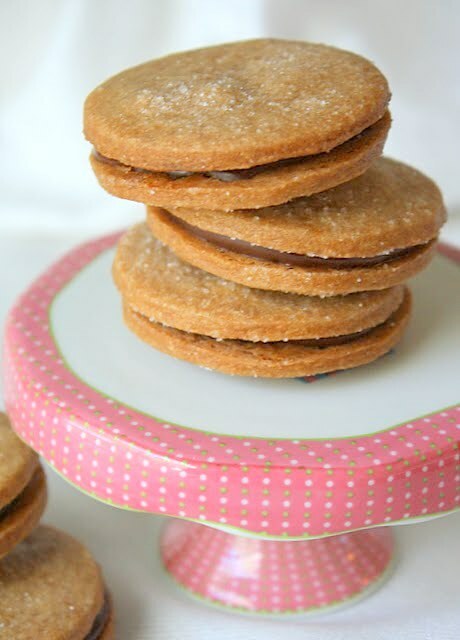 And because of that, my preference for using liqueurs is through baking--even in baked goods as humble as cookies. Today's recipe is a case in point. 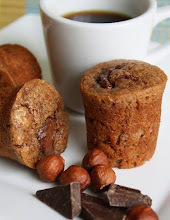 A shortbread-like dough, flavored with Kahlua, cream, and a little cocoa, rolled out thin, and dusted lightly with sugar. 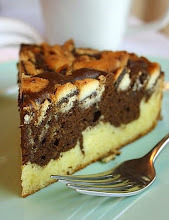 The filling is a simple medley of melted dark chocolate, stirred together while warm with a bit of Nutella. The result is a grown-up sandwich cookie that offers up layers of flavor only an adult could fully appreciate. 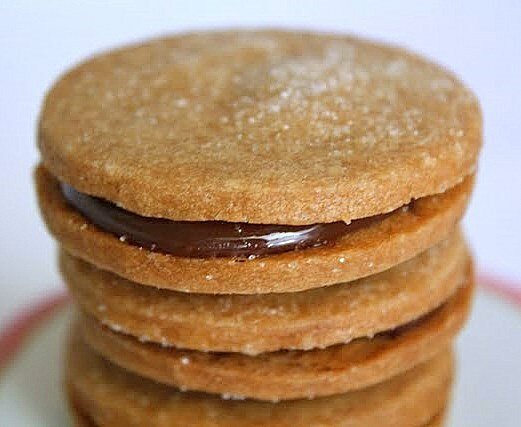 I adapted this recipe from several Kahlua shortbread versions floating around the internet, most of which seem to be attributable to the Regatta Cafe in Scituate, MA. And so, without further ado, I present to you my version of a truly happy cookie. 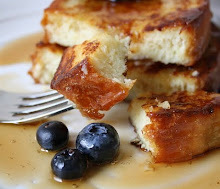 In a small bowl, whisk together the confectioners' sugar and granulated sugar. In another bowl, whisk together the flour, the cocoa, and the kosher salt. 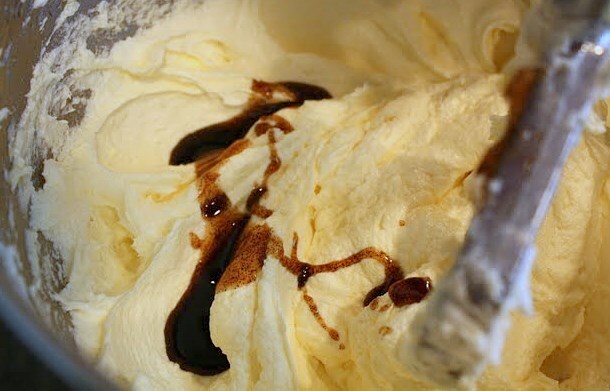 In a very small bowl, mix together the coffee powder/crystals, vanilla extract, and Kahlua. Add into that the heavy cream and stir until combined. 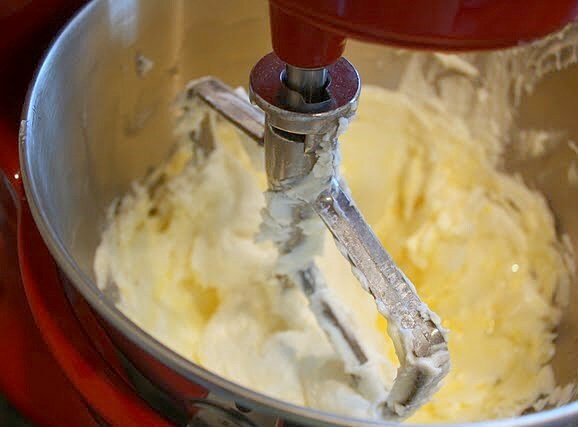 In the large bowl of your mixer, using the paddle attachment, cream together the butter, granulated sugar, and confectioners' sugar until it's nice and smooth, scraping the bowl as needed. Add in the Kahlua mixture, beating until well blended. 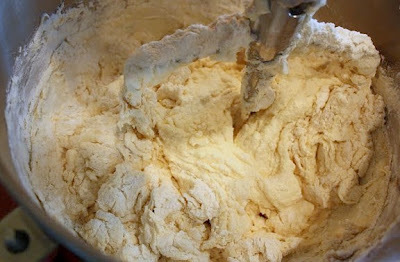 Add in the flour, in two or three batches, beating on medium speed just until the flour is well incorporated. 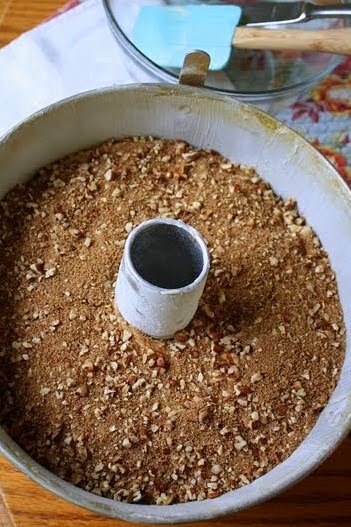 Stop to scrape the bowl with each addition of flour. Scoop the dough out equally onto two sheets of plastic wrap. Shape each chunk into a thick disk and wrap it securely; chill the dough in the fridge for several hours or overnight. When the dough is fully chilled and you're ready to form the cookies, preheat your oven to 350 degrees. Take the dough out of the fridge, and let it soften at room temperature just long enough so it can be rolled out; if it gets too soft it will be impossible to roll (in which case you could always form it into balls if you wanted, or put it back in the fridge). 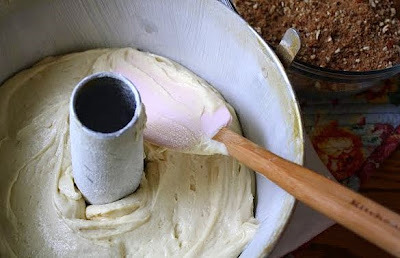 Flour your rolling pin and, on a lightly floured surface, roll the dough to a thickness of less than 1/4 inch. Cut it with a cookie cutter and place the pieces onto parchment lined cookie sheets. Sprinkle each cookie lightly on top with a pinch of granulated sugar. Bake the cookies for about 12 to 15 minutes, or just until they start to look golden on the bottom and slightly golden around the edges. 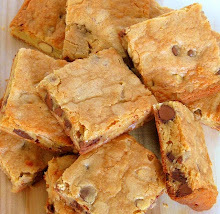 Let the finished cookies cool on the cookie sheet for five minutes before you attempt to move them on a cooling rack. To make the filling, melt the chocolate chips in a small bowl set over simmering water, or do it carefully and slowly in your microwave. While the melted chocolate is still quite warm, stir in the Nutella until the mixture is completely smooth. 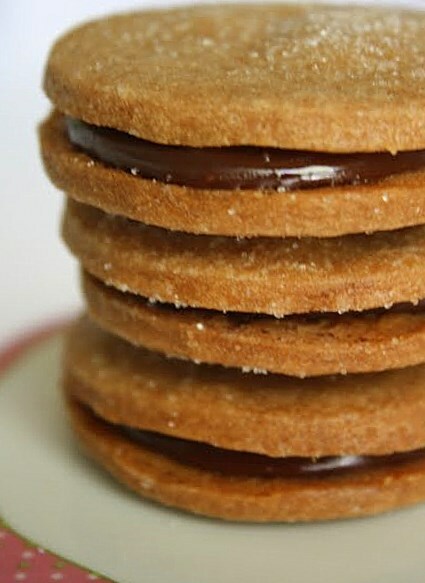 Let it cool to almost room temperature (it will thicken a bit) before attempting to sandwich the cookies together. 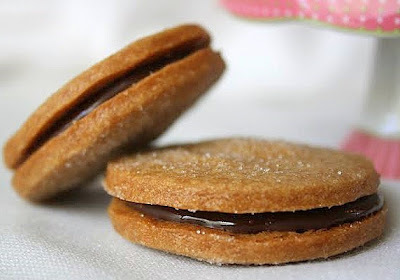 On the bottom of one cookie, dab a small dollop--perhaps one teaspoon--of the filling, and top it off with another cookie, so both cookie bottoms are touching the filling, and the sugared sides are on the outside. 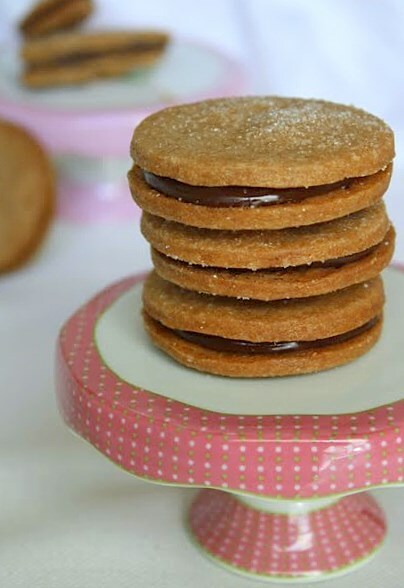 Press the cookies together just enough so the filling reaches near the edge. Let the filled cookies sit in a cool spot, or put them in the fridge for a few minutes, to set the filling. 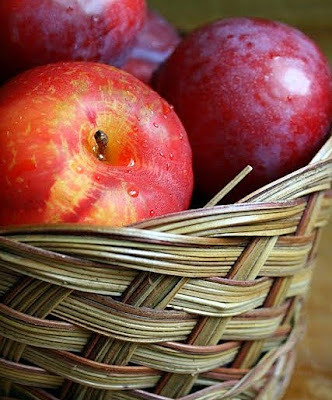 I love everything about apple season. Apples are so perfect, so classic. And they never fail to remind me of childhood. I was born and raised in Michigan and, to me, fresh apples just seem like the distilled essence of a Michigan autumn--evocative in the nicest way. In fact, if I were taking a word-association test and had to respond to the word "fruit," I'm quite sure I'd blurt out "apple!" without missing a beat. They have such perennial appeal, and they're naturally portable. It's as if each one comes in its own protective little suitcase, making it travel-friendly. It wants to go where you go. 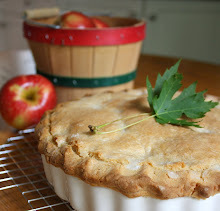 While not a single leaf in these parts has yet turned golden nor burnished red, and neighborhood school-kids have barely had time to crack open their textbooks or sharpen new pencils, I needed to make an apple pie. Not a grand model of complexity, mind you. 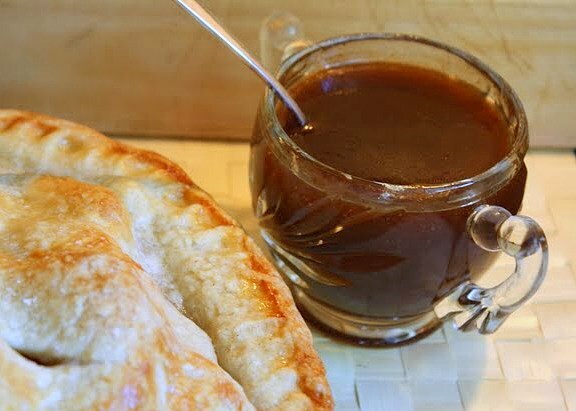 Just a great hearty pie, served along with a warm, gently spicy, cinnamon sauce. What could be better than that? This isn't a complicated pie to put together, and it doesn't require a lot of time--both are factors in its favor. 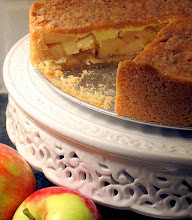 The crust, in my experience, is just about foolproof and, as it bakes, turns the loveliest color. 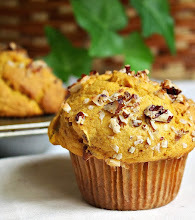 The filling is neither time consuming nor does it require any exotic ingredients. A wedge of this pie is completely satisfying on its own--no question about it. 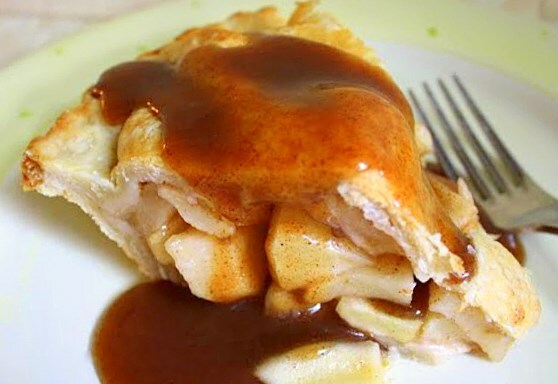 But drape it with a spoonful of the buttery cinnamon sauce and it takes on an added dimension that sets it apart. 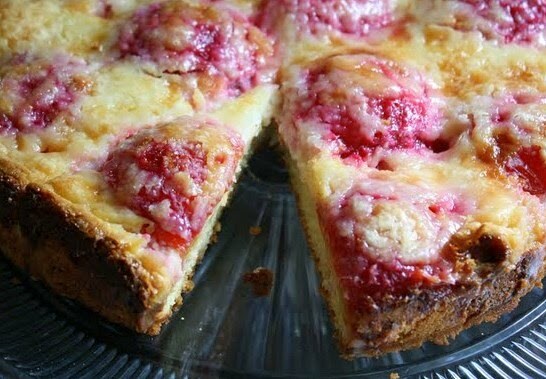 Really, really good pie! I borrowed from a couple sources in making this pie. The crust recipe is from Apple Pie Perfect, by Ken Haedrich, and the filling recipe was inspired by one in Carole Walter's book Great Pies & Tarts. I could spend hours (and come to think of it I guess I have!) immersed in Walter's many cookbooks. They're amazing. The sauce was just something I experimented with after looking at the directions for basic sweet sauces in a number of places; it's elementary and is one of those things, kind of like ganache, that hardly seems to require a formal recipe. 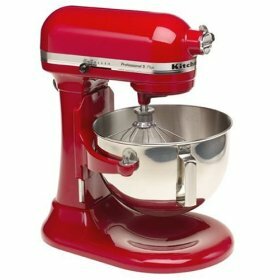 In the large bowl of a food processor, place the flour, sugar, and salt. Pulse several times to mix. Take off the lid and toss in the butter chunks. Pulse again, about 6 times, to cut the butter in. Again remove the lid and, using a fork, fluff up the mixture, scraping down to the bottom of the bowl. Toss in the shortening cubes and pulse about 6 times, then take off the lid, scrape the bottom, and fluff again with a fork. Drizzle only about half of the cold water in and pulse 6 times. 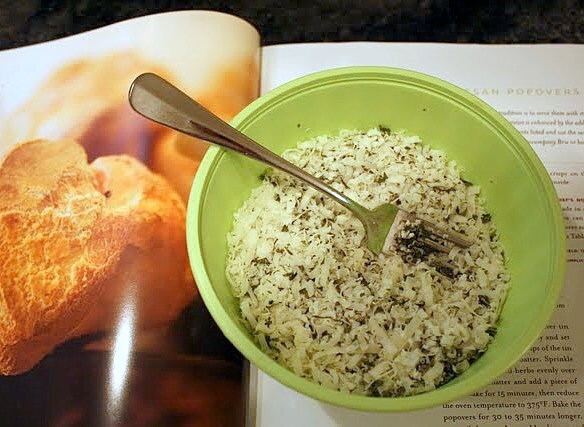 Fluff the dough again with a fork, then sprinkle in the remainder of the water. Pulse a few more times, until the dough begins to clump together. Dump it out into a clean mixing bowl. 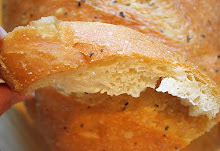 Test the texture of the dough by squeezing a bit of it in your hand. If it's too dry and won't hold together, sprinkle in a tiny bit more water, one teaspoon at a time, working it in gently with your fingers. When the dough holds together, divide it into two pieces, one slightly larger than the other, shape each into a ball, and flatten the balls into disks about 1" thick. Wrap the disks in plastic wrap and chill them in the fridge for about an hour or so. 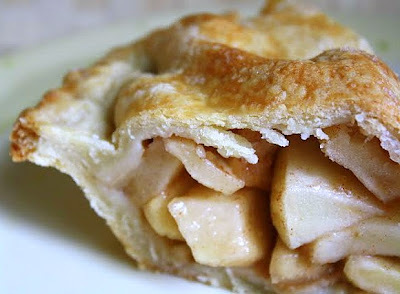 While the dough is chilling, make the apple filling. 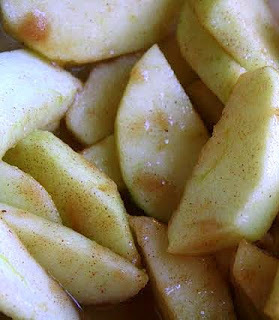 Peel apples and cut into 1/4 inch slices, dropping them into a large mixing bowl. Toss the pieces with the lemon juice. In a small bowl, combine the sugars, cornstarch, cinnamon, and nutmeg. Don't add this to the fruit yet-- just set it aside. Preheat oven to 400 degrees, and place a rack in the lower third of the oven. 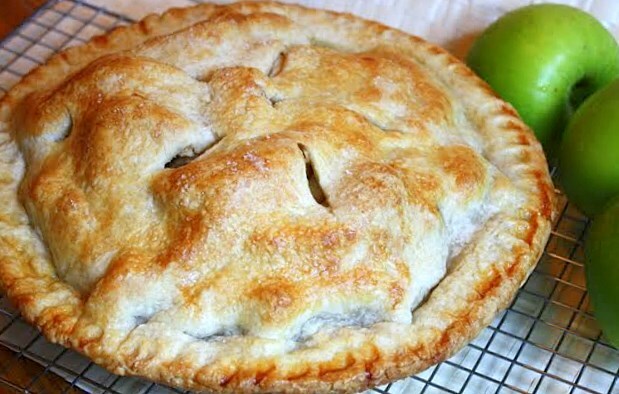 Brush the inside of a 9" pie plate with a light coating of soft unsalted butter. 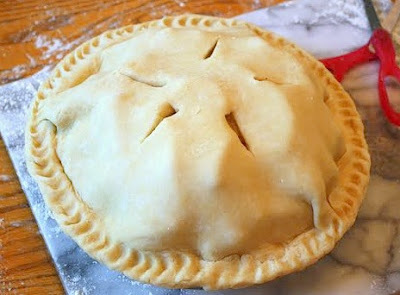 Remove just the larger ball of dough from the fridge, unwrap it, and place it on a lightly flour-dusted work surface. Roll the dough into a 13" circle and place it carefully into the pie plate; try not to stretch it in the process. Trim the edge so you have an overhang of up to one inch. Whisk the egg white and water together with a fork. 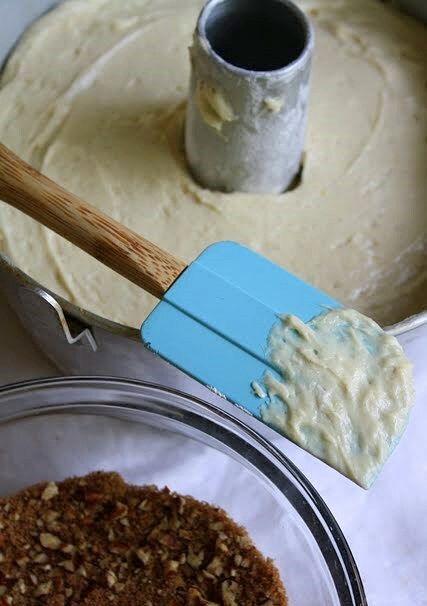 Using a pastry brush, brush the bottom, sides, and edge of the raw pie shell lightly with the mixture. Now, pour the sugar mixture into the apples and stir to coat the pieces. 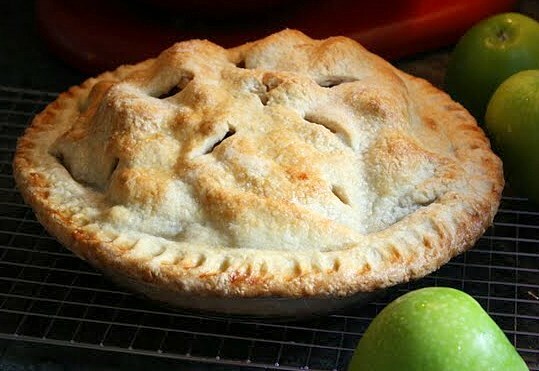 Shovel your apples into your pie shell, mounding them high in the center. Dot the fruit with bits of the 1 Tbsp. of butter. 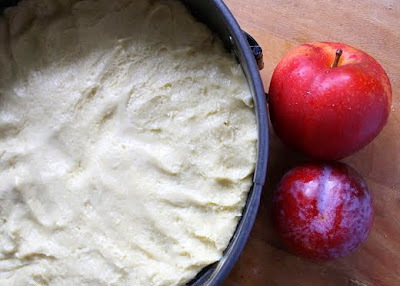 Roll out the second disk of dough into a 13" circle and place it over the fruit. Trim the edge of the dough, and seal the edges together by crimping it closed with your fingers or with the tines of a fork, as you prefer. Cut a few small vents in the top crust to release steam. 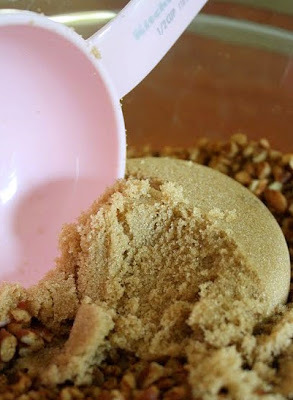 Gently brush the top crust with more of the egg wash, and then sprinkle the crust with a few pinches of plain granulated sugar or cinnamon sugar. Place the pie in the oven. About 20 minutes into baking, place a baking sheet beneath; this will help prevent the bottom from burning. Check the pie again periodically; if the top crust appears to be browning quickly, lightly place a sheet of foil atop it and leave it there until the pie is done. Peek also at the edges of the pie to check if they're browning; if they're not, remove the foil border about ten minutes towards the end of the baking time. 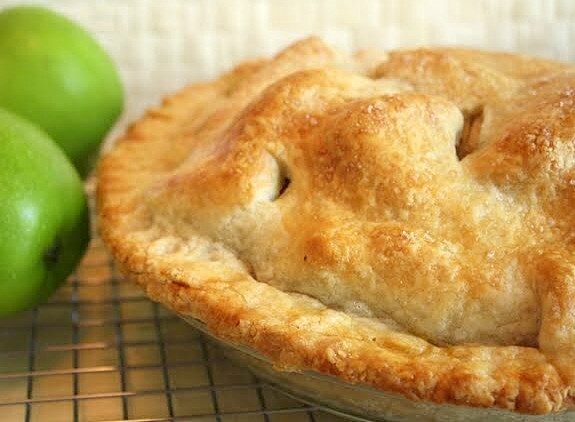 Depending in part upon the type of apples you used, your pie may take 40 to 55 minutes. There should be bubbling evident through the vents, and the pie should be golden all over before you decide it's done. 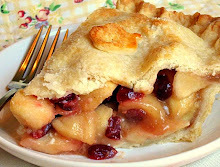 If you like softer fruit, plan to bake the pie on the longer side. Let the pie cool on a rack for at least three hours before cutting. 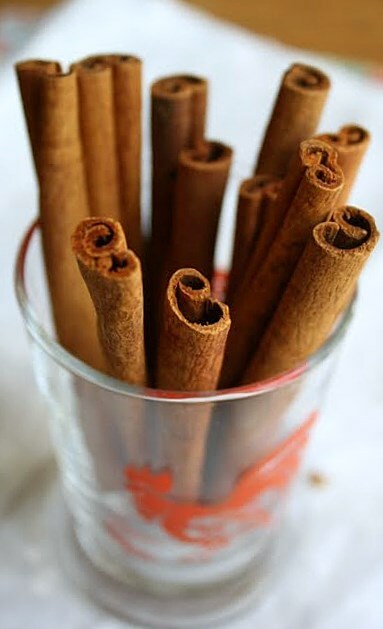 Make the cinnamon sauce while you're waiting. Dissolve the cornstarch with the 1 Tbsp. of water in a very small bowl. Stir until it's smooth. In a small sauce pan, combine the 1 and 1/2 cups water, butter, brown sugar, and cinnamon. Bring to a low boil, then turn the fire down and let it simmer for a few minutes, stirring frequently. Stir a couple spoonfuls of this hot mixture into the cornstarch mixture to temper it; then pour this back into the sauce pan and stir continually on low heat until the sauce thickens. Strain the sauce into a bowl to remove any lumps. 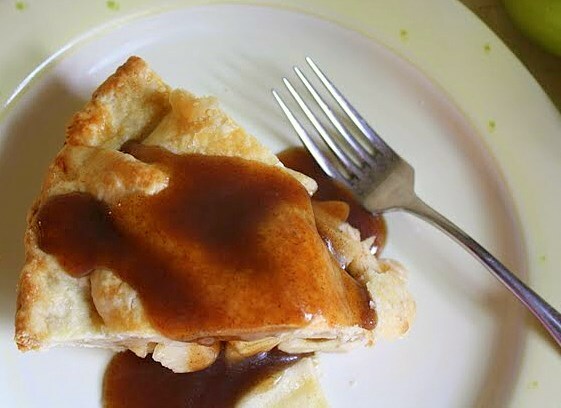 Serve it warm, spooned over slices of the baked apple pie. 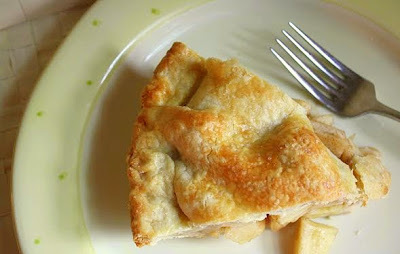 *If you like this recipe, but you want to guarantee that there's not a lot of juice in the baked pie, I recommend you check out this apple pie post I did last year. It's a more involved and time consuming process (you precook the fruit for a while, etc.) but it produces a truly exceptional pie. 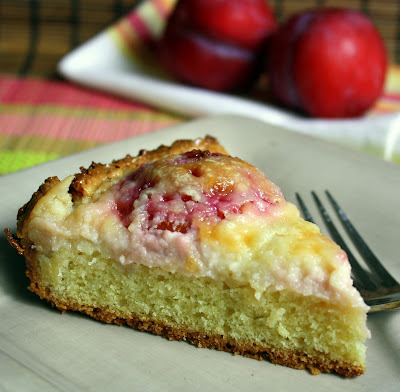 Red-Plum Brunch Cake with Cream Cheese Topping . . . 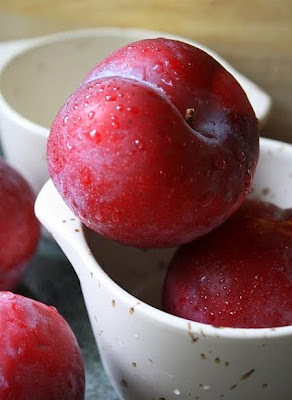 I'm always hesitant to use them on their own as the central attraction in a cake, pie, or rustic tart. 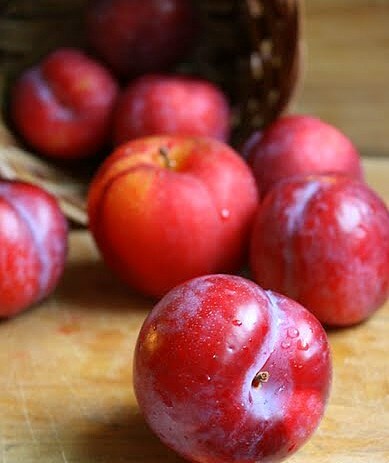 But, recently, when I hit upon a batch of really tasty bright crimson plums, I decided to put my past prejudice aside and let them take center stage. I think these plums held up rather well here in this dish, all things considered. And, as Aretha Franklin might advise, I have to give them their propers. 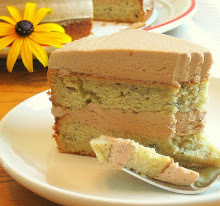 Enhanced with a thin topping that's reminiscent of soft cheesecake filling, this cake would be content to make a morning appearance--say, for a special brunch. Or, I can see it happily plated up and shared with your closest friend along with a hot cup of tea on a cool autumn afternoon; it's just that kind of treat. It won't go down in history as any kind of masterpiece, that much I must admit. It's not exactly unsightly, but it's hardly what I'd call beautiful. 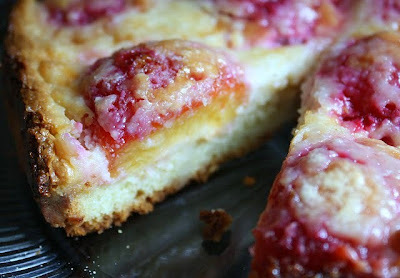 The top reminds me of a cheese pizza, and is reminiscent of a cranberry kuchen recipe I posted last fall that also reminded me of a cheese pizza. But despite that cosmetic flaw, it does make a pleasant enough contribution to the ever-growing cavalcade of tea cakes and breakfast sweets. 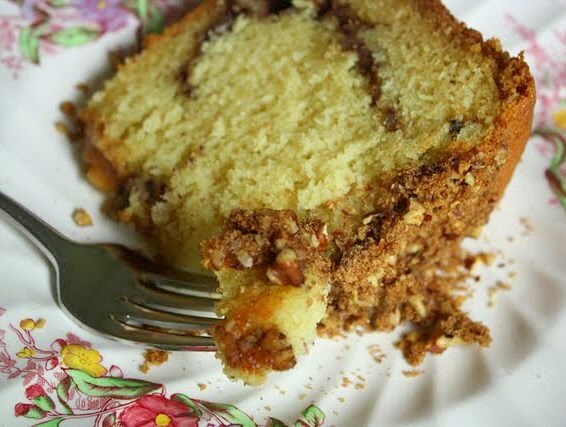 I'd recommend serving it after it's completely cooled, and after the topping has had a chance to kind of firm up. 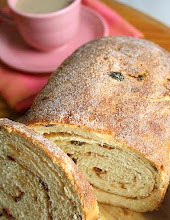 I adapted this recipe from one in Marcy Goldman's A Passion for Baking. 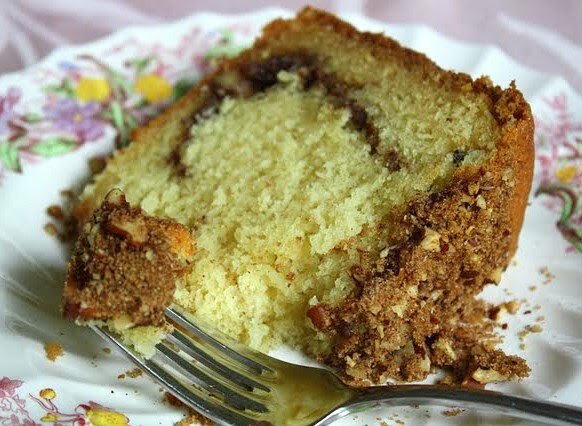 She frequently recommends using a food processor in her recipes, and I did use one for this cake, but I don't think it's always necessary and, in many cases, I can't imagine things would go awry if you just used your mixer instead. I've adapted several items from this book over the last few months, most of which turned out quite well, and there is at least one more that I am looking forward to trying this fall, so stay tuned. Preheat oven to 350 degrees. Spray a 9" springform pan with baking spray, or lightly grease and very lightly flour the pan. In a small bowl, mix together the flour, baking powder, and salt with a fork or whisk; set aside. In the large bowl of a food processor, cream together the butter and sugar. Add in the eggs and the vanilla extract, and pulse to blend until the mixture appears smooth. Take the bowl off the processor, scrape the batter into a medium size mixing bowl, and fold in the dry ingredients. 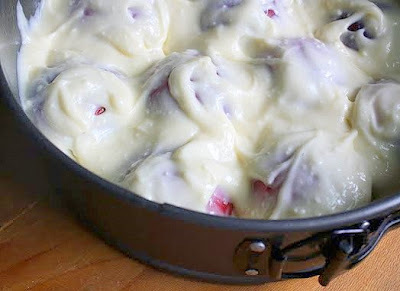 Spread the batter, which will be soft, into the bottom of the prepared springform pan. 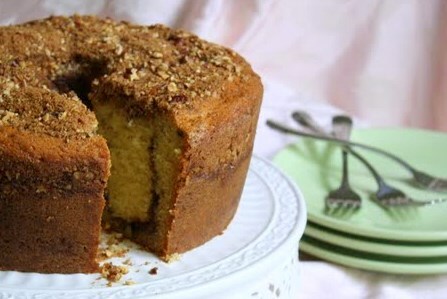 You may need to lightly wet your hands and pat the batter into shape with your fingers. 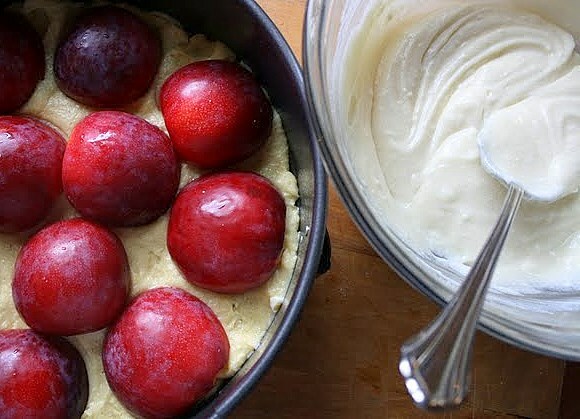 Place the halved plums cut-side down evenly in the pan over the batter. 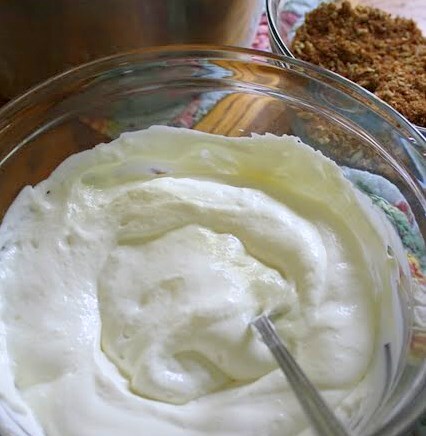 In a small bowl, using a whisk or fork, stir together the softened cream cheese, sour cream, sugar, and the three extracts. Spread all of this over the top of the cake batter, covering the fruit. Place the pan on a baking sheet or a sheet of foil; this will help the bottom of the cake from over-browning. Bake in a preheated 350 oven until the top begins to look golden, about 40 to 45 minutes. 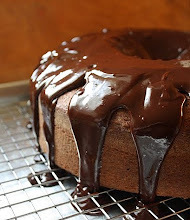 Let the cake cool in its pan for at least 20 minutes. 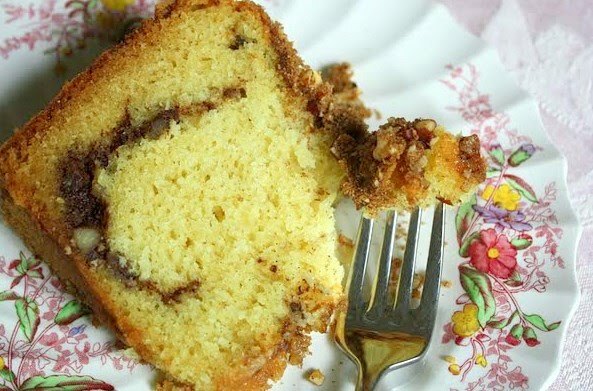 Run a thin knife around the sides of the cake before attempting to remove the springform. Let the cake finish cooling completely before serving. One evening, a couple of months ago, I found myself casually browsing around in a big bookstore. Strolling from section to section, pausing to pick up interesting titles that caught my eye, it wasn't long before I meandered into the cookbooks. I zeroed in on the baking books of particular interest to me, but hung back a bit as I approached because there was one other woman in the aisle and she, too, was focused on the very group of books I hoped to peruse. I didn't want to invade her space or make her feel rushed, so I busied myself nearby and took a book randomly from one of the shelves. Flipping through the glossy pages, I kept glancing over in her direction, curious as to which books were absorbing her attention so completely. Eventually she must have sensed my interest because after a few minutes she turned to me with a smile and said, "Do you have any suggestions for good baking cookbooks? I want something new, but I'm not sure what to get." That comment broke the ice and we stood there chatting for a good twenty minutes or more. We paged through a half dozen books together, critiquing their merits. We talked about the kind of baking we each like to do, and what we value so much about baking from scratch. It was one of those rare conversations you occasionally have with a complete stranger that evolves so naturally it makes you feel as if you might have known that person for years. Perhaps the most remarkable thing about that little encounter was that it really wasn't so surprising at all. It seems to me that when you see someone who is immersed in a baking book, you are very likely looking at a kindred spirit. After all, not everyone bakes for fun. 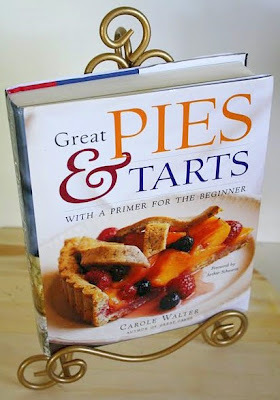 Most people, in fact, almost never bake from scratch, and not everyone reads cookbooks purely for pleasure. But some of us do. In this respect, as devoted home bakers, it's kind of like we're charter members of an unofficial but universal club. We seem to have ways of finding each other. Whether it be through books, or recipe sharing, through food blogs, or chance encounters in person, I'm starting to wonder if we have some sort of magical radar that allows us to scout each other out. Is it just a form of bakers' intuition, or a bakers' psychic connection? I do not know. But, whatever it is, it's delightful, comforting, and ever so slightly mysterious. What's not to love about a classic sour cream coffee cake embedded with swirls of cinnamon, brown sugar, and pecans? 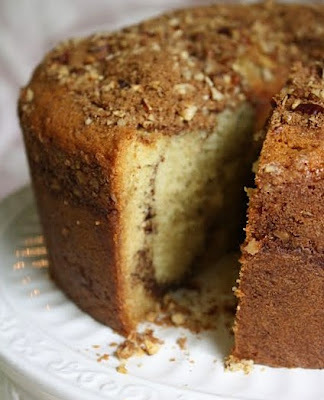 I'm talking about a moist cake with a soft tender crumb, not a super-dense pound cake texture. Add to that the complementary flavor balance of vanilla and butter, marbled with a generous streak of delicately spicy sweetness, and you can't go wrong. 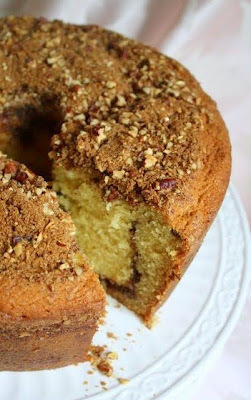 This sour cream coffee cake formula combines what I think are the best features of two similar recipes found in two fine sources: The Sono Baking Company Cookbook, by John Barricelli, and Carole Walter's Great Coffee Cakes, Sticky Buns, Muffins & More. The most interesting feature of Barricelli's version, I thought, was his direction to mix the baking soda with the sour cream well before it gets mixed into the rest of the batter. This allowed the sour cream time to actually fluff up from the action of the soda, so when I finally added it into the batter, alternately with the flour, it was almost like I was adding in beaten egg whites instead of plopping in heavy wet globs of sour cream. 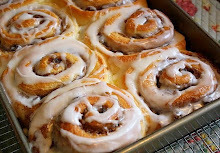 In my experience, speaking strictly as a home-baker, this is an altogether uncommon technique, but one that produces a pretty intriguing effect. Though I don't recall encountering it before, I must admit I was instantly enamored. 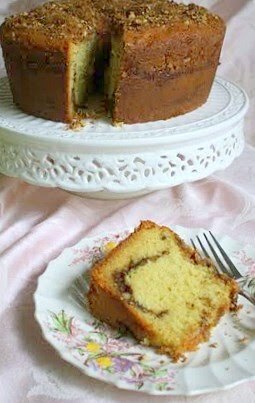 From Carole Walter's recipe, I borrowed her advice to use superfine sugar instead of regular granulated sugar in the cake, and instead of using Barricelli's guidance to go with cake flour, I went with Walter's choice of All Purpose flour, which I decided had better be sifted. 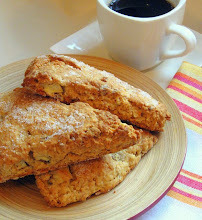 I toasted my pecans before chopping them, and I decided to use vanilla bean paste instead of vanilla extract. Why? Only because I 'd never used it before but had recently purchased a bottle and wanted to try it out. This seemed like it might be an appropriate venue in which to do so because this cake can handle a substantial amount of vanilla flavoring without being overpowered by it. Vanilla bean paste is akin to a dark syrupy version of vanilla extract that also includes visible vanilla bean seeds, along with a little bit of sugar. 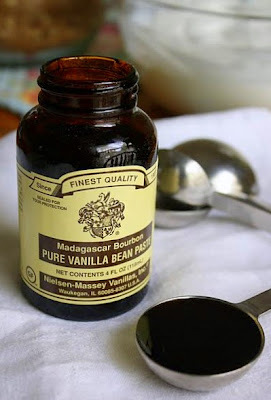 It can be exchanged for vanilla extract in a recipe on a one-to-one basis, so it's a flexible ingredient to have in one's arsenal. 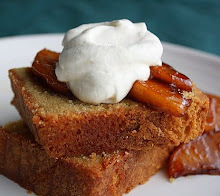 This is a very solid recipe that I can envision making again and again in years to come. I was completely pleased with the way it turned out. Preheat oven to 350 degrees. Butter generously the sides and bottom of a 10" tube pan with a removable bottom, and dust well with flour, tapping out the excess. 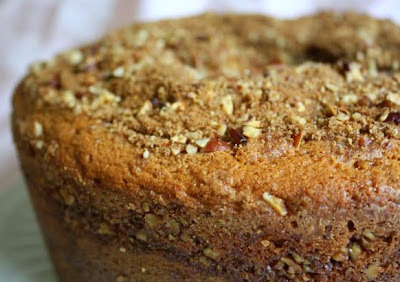 In a little bowl, toss together the brown sugar, finely chopped toasted pecans, and cinnamon, mixing it well with a fork. Set aside. 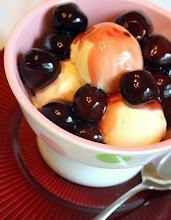 In a small bowl, stir together the sour cream and baking soda; set this aside. 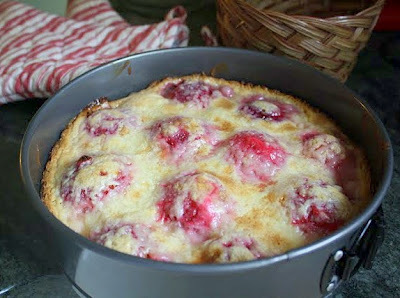 In another small bowl, whisk the flour and baking powder together; set this aside as well. In the large bowl of your mixer, using the paddle attachment, cream together the superfine sugar, butter, and salt on medium-high speed until fluffy and light, for 2 to 3 minutes. Halfway through, stop to scrape the bowl and beaters. Add in the eggs, one at a time, beating after each one. Beat in the vanilla paste/vanilla extract. On low speed, add in the dry ingredients in three batches, alternately with the sour cream. Beat well after each addition. Spoon half of the batter into the prepared tube pan. Sprinkle in half of the topping mixture, taking care to avoid the sides of the pan if possible (easier said than done!). 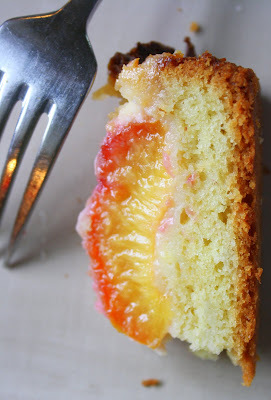 You want to kind of hide the filling within the batter. 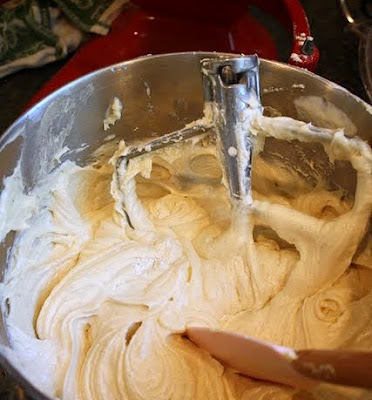 Use a knife to lightly swirl the topping into the batter. Add the rest of the batter on top of that, and smooth it out. Sprinkle the remaining topping all over the top of the batter. 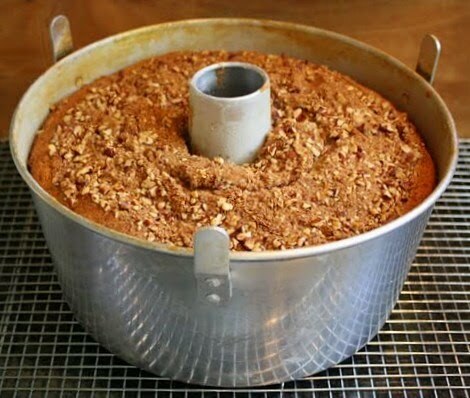 Put the cake pan on top of a baking sheet and bake in a preheated oven for 50 to 60 minutes, until a toothpick inserted in the cake comes out clean. 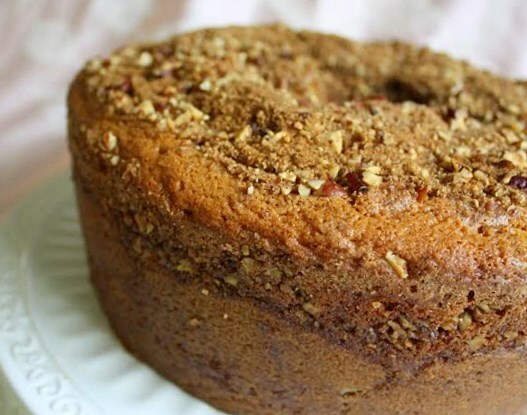 Be sure to check the cake about halfway through its baking time and rotate the pan. If the top is already golden brown, cover it lightly with foil at that point and leave the foil on until the cake is done. Cool the cake in its tube pan, set on a cooling rack, until it's almost completely cool. Run a thin knife around the inside edge of the pan to loosen it. Lift it out of the pan, insert the cake quickly onto a flat plate, then re-invert it onto your serving plate (might want to do this over a sink, because some of the topping will inevitably fall off; the faster you do it, the less will have a chance to fall off! ).